The late Nora Ephron is perhaps best remembered for her work on romantic comedies, most notably as screenwriter of When Harry Met Sally . . . (1989) and as writer/director of Sleepless In Seattle (1993). 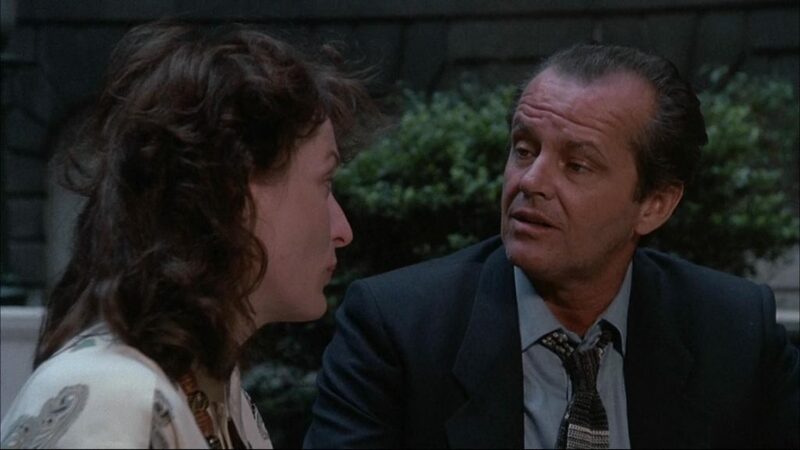 Heartburn, Ephron’s second outing as screenwriter following Silkwood (1983), marked her second collaboration with director Mike Nichols. It is an adaptation of her own novel, a lightly fictionalised account of the breakdown of her marriage to journalist Carl Bernstein. 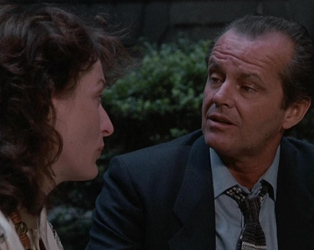 Rachel (Meryl Streep) is a pregnant food writer who discovers that her husband Mark (Jack Nicholson) is having an affair. Rachel struggles to credit his subsequent disavowal of his mistress as they attempt reconciliation. With her shrewd eye for the details of relationships, Heartburn marks an underrated entry in Ephron’s filmography.